Luxury Algarve Properties welcomes you and trusts that your visit will be truly enjoyable. We will unlock the door to spectacular properties, exclusive estates and the Algarve's finest luxury homes. Whether you are looking for a luxury beach front property, a villa with a pool, front line golf residence, an exclusive city apartment or a traditional countryside retreat, luxury algarve properties can offer an overseas property to meet your requirements. Let us assist you in your search from the comfort of your home or office. 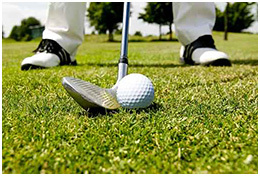 Imagine owning a luxury home or playing a superb championship golf course whenever you choose. These are all privileges that come with being part of living in Algarve. Custom built luxury houses on individual sites enjoying magnificent views over the sea. With magnificent settings, these are homes truly worthy of one of Europe's great tourist destinations. For further details on any of our luxury properties, please click here to contact us by email or contact Luz Bay real estate on +351 282 762 645 to arrange a viewing. The Algarve is the southernmost region of Portugal and it's one of Europe's favourite holiday destinations well known for glorious year round sunshine, mediterraen climate , excellent sandy beaches and relatively low costs. 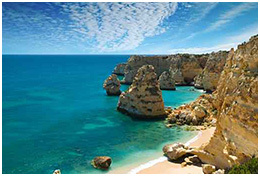 Algarve is also famous for luxury resort & hotel spas by the beach. In the 1960s the Algarve became a very popular destination for tourists, mainly from Britain. It has since become a common destination for foreigners. Many of these tourists own their own property in the region. There are Algarve-based English-written newspapers specifically addressed to this community. 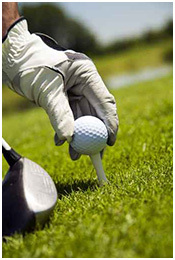 In addition to the natural beauties and plenty of beaches, the Algarve has invested in the creation of a network of golf coursed. During the 1970’s and 1980’s and on into the first half of the 1990’s, golf courses appeared all along Portugal’s southern coast. Although none of the existing courses are more than 15km from the coast, the terrain varies from the steep hillsides to the near sea-level flatlands. The Algarve countryside is now filled with verdant oasis at each of the golf complexes thanks to large, state-funded water catchments and distribution schemes, as well as private boreholes which tap into subterranean water sources for irrigation. You will find that the Algarve, with its mild climate, reasonably priced restaurants, breathtaking scenery, friendly people and excellent golf courses, all combine to make it a place to remember.